Rivers State Governor, Nyesom Ezenwo has stated that the 2019 general elections represent a contest between darkness and light, saying that Nigerians must vote out the darkness that APC represents. 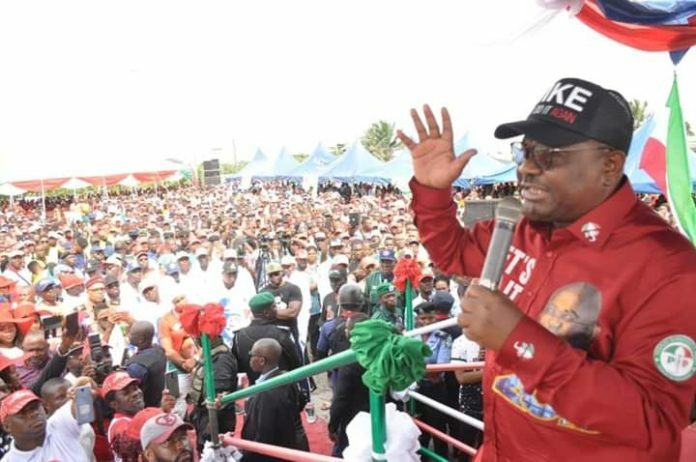 Addressing thousands of supporters during the PDP Campaign Rally in Bonny Island on Monday, Governor Wike said while PDP represents light, APC is the worst form of darkness. He said: “What is happening in Nigeria now is between dictatorship and freedom. It is better you choose freedom. The only party that can bring freedom is the PDP . He said that Nigerians must end dictatorship at the Federal level by voting for all PDP candidates. 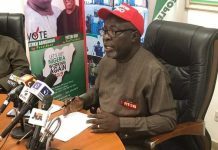 The governor urged the people of Bonny Kingdom to vote the PDP Presidential Candidate, Atiku Abubakar for the creation of employment opportunities. 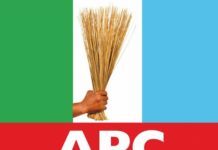 “The APC Federal Government has refused to pay N60billion to fund the Bonny Bodo Road. This is when the NLNG has already paid her own part. Uptill now, because it is the Niger Delta and Rivers State, the Federal Government has refused to pay the counterpart fund. “What that tells you is that the APC Federal Government does not believe that you and I belong to this country. Therefore, if anybody says you are inconsequential, you will tell the person you are important. The only way you can teach them a lesson is to vote out the APC Federal Government”, he said . 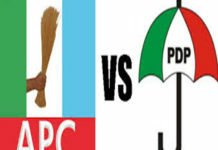 The governor noted urged Bonny PDP leaders to ensure the victory of the party in all the polling units. He said leaders who lose their units will lose political relevance. 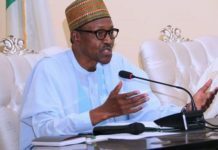 He said: “We are working to ensure that the unconstitutional removal of the Chief Justice of Nigeria (CJN) is reversed because it did not follow the rule of law. This dictatorship must end. The APC has failed Nigerians and we need to sack the party”. Deputy Governor Ipalibo Harry Banigo lamented the fact that the APC Federal Government makes empty promises in Rivers State without fulfilling any of them. Rivers State PDP Chairman, Bro Felix Obuah said that the visit to Bonny was to celebrate a governor who has wiped away the tears of the people. He commended the people of Bonny for their mass mobilisation to ensure the victory of all PDP candidates. The Rivers State PDP Chairman presented flags to the PDP Candidates contesting the elections for Rivers West Senatorial District. Flags were presented to PDP Candidate for Degema/Bonny Federal Constituency, Doctor Farah and PDP Candidate for Bonny State Constituency, Abinye Blessing Pepple.